I promise I’m not foolin’, my heart is made of pure gold! Hello everyone. 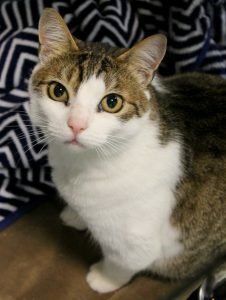 My name is Pyrite and I am a 7 year old brown and white tabby and a sweet hunk of fluff! I am the chillest guy around and absolutely love hanging out with my canine friends. In fact, I used to live with some big pups back in the day. I would enjoy being the only feline in your heart though! So fill out an application and come on over to Pixie and visit me today. 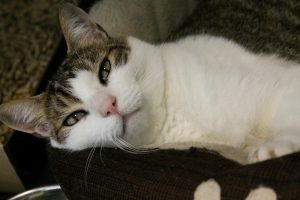 I come to you neutered, vaccinated, and micro-chipped with an adoption fee of $100.